I find perfect balance, proportion, structure, strength and elegance in nature. The Volute range depends on geometry and repeating shapes in two and three dimensions. I believe these designs are found at the workbench rather than invented. A concave bangle with an open back. This piece has been inscribed with delicate lines which are perfectly irregular. 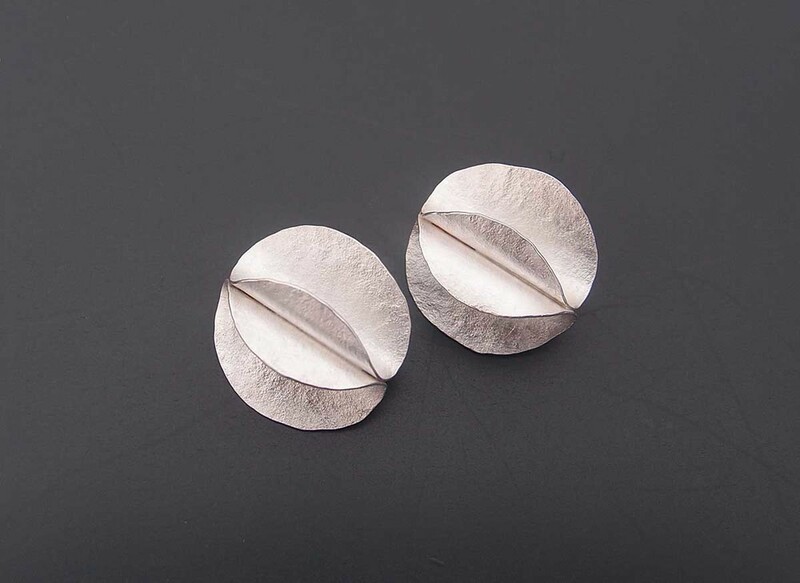 A pair of silver stud earrings to bring a little bit of extra light and shadow to your face. A very delicate and pretty graduated necklace in silverwith blue sapphire beads. Take three circles, cut and spiral until you have achieved a perfect little flower for each ear. 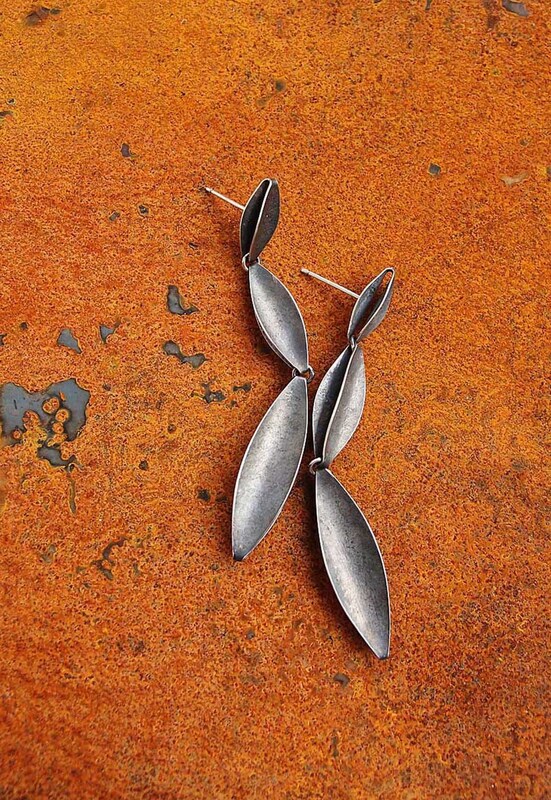 These hangingsilver earrings are inspired by the lovely laburnum blossom which is so abundant in the spring. A stud earring which is very light weight and comfortable completely covering the ear lobe. Fitted with extra large butterflies, 2.5cm diameter. Brooch and matching earrings with a gold spiral and pearls on a fine grained silver base. I use a double pin to make sure the brooch sits close and secure to the wearer. My grandmother made lace with a tatting shuttle and thisis her shuttlenecklace. A little cascade of spring blossom in the shape of a silver earring. 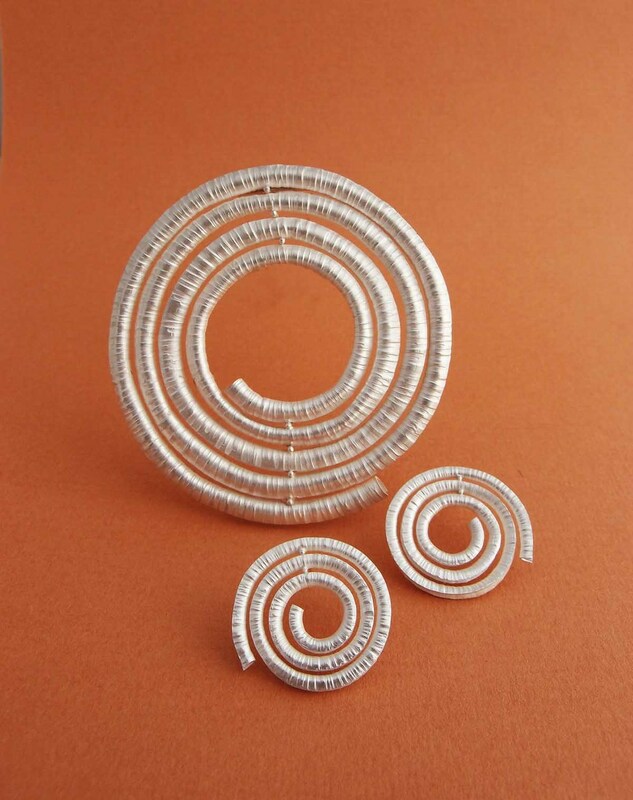 A large and dramatic silver brooch and matching earrings in a hollow spiral form. 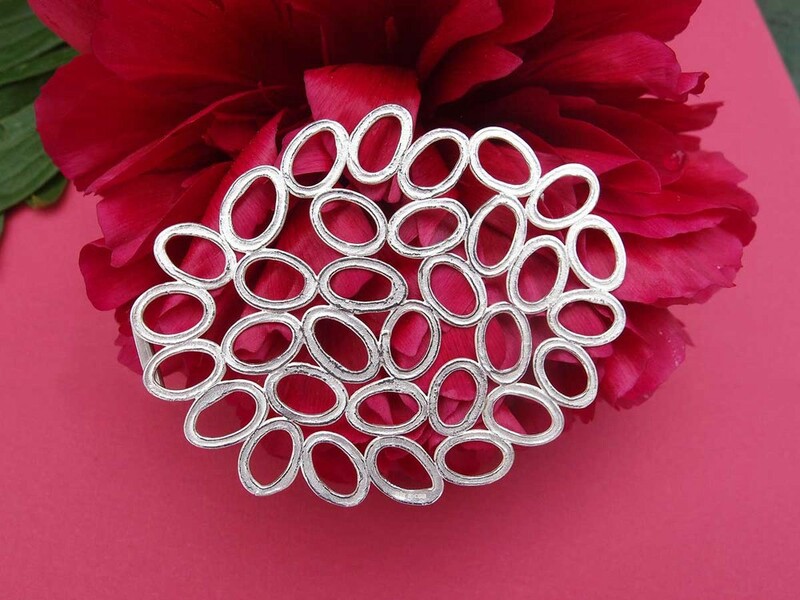 A silver trellis brooch. Length 7.5cm, height 5cm. I “found” this brooch when I was playing at the bench. The repeating elements are reminiscent of both cellular structure and lace. 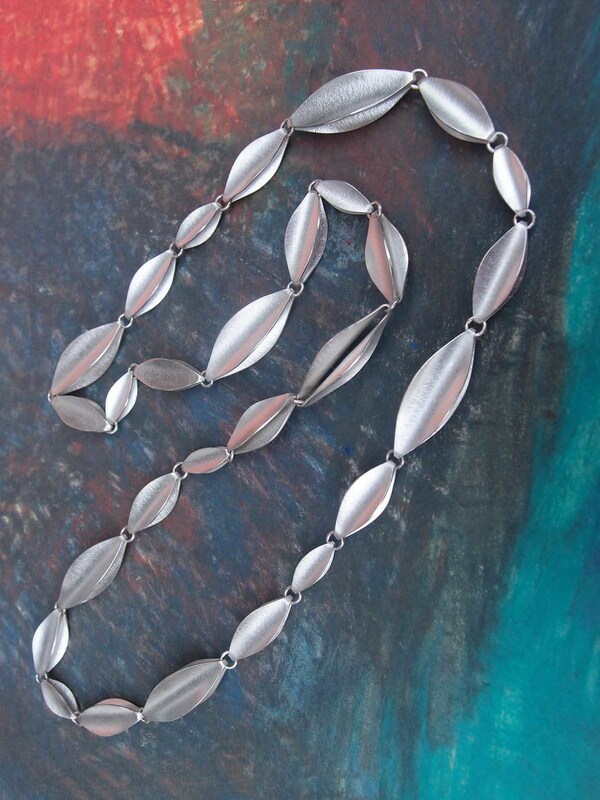 Each link in this elegant silver shuttle necklace has to be cut out and shaped by hand. Our attention is instinctively drawn to movement and play of light. These silver shuttle earrings in three parts bring that attention to you face.